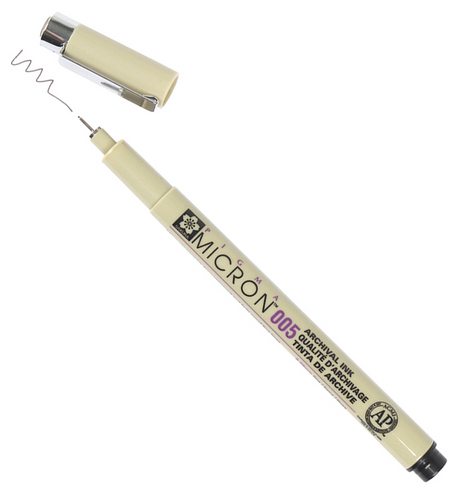 The PigmaÂ® Micron is a fine-point drawing and illustration pen that utilizes the highest quality archival formula -known as Pigma ink. 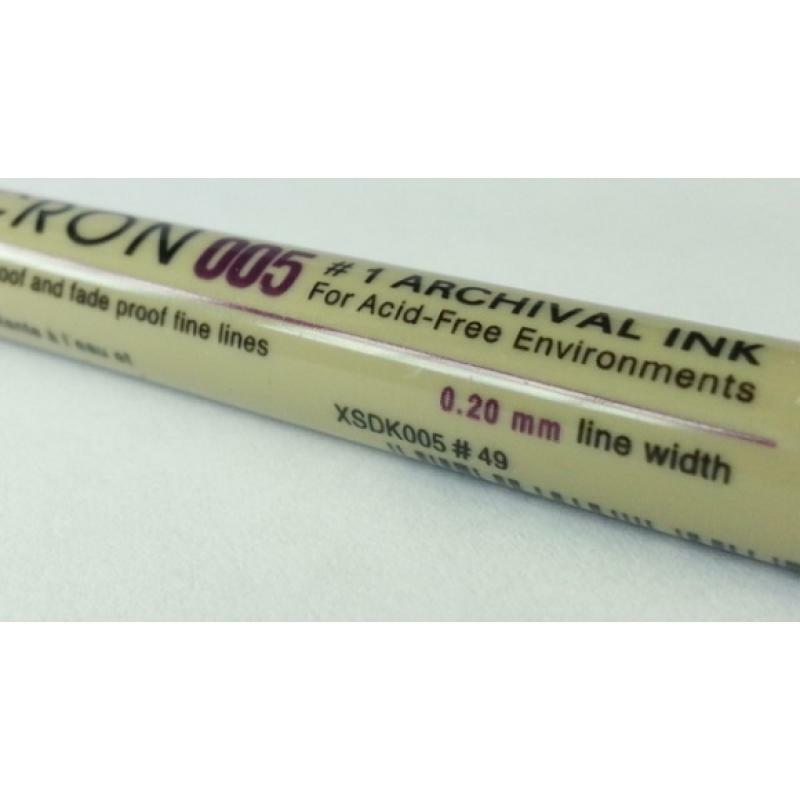 For serious technical and artistic applications, these pens are available in six line-width sizes:005 = 0.20mm, 01 = 0.25mm, 02 = 0.30mm, 03 = 0.35mm, 05 = 0.45mm, and 08 = 0.50mm, and up to 15 ink colors: black, blue, red green, brown, purple, orange, yellow, rose, sepia, royal blue, burgundy, hunter green, fresh green, and blue/black.The Pigma Micron is ideal for archival recording, illustration, graphic art, scrapbooking, freehand magna drawings, and decorative fabric design. 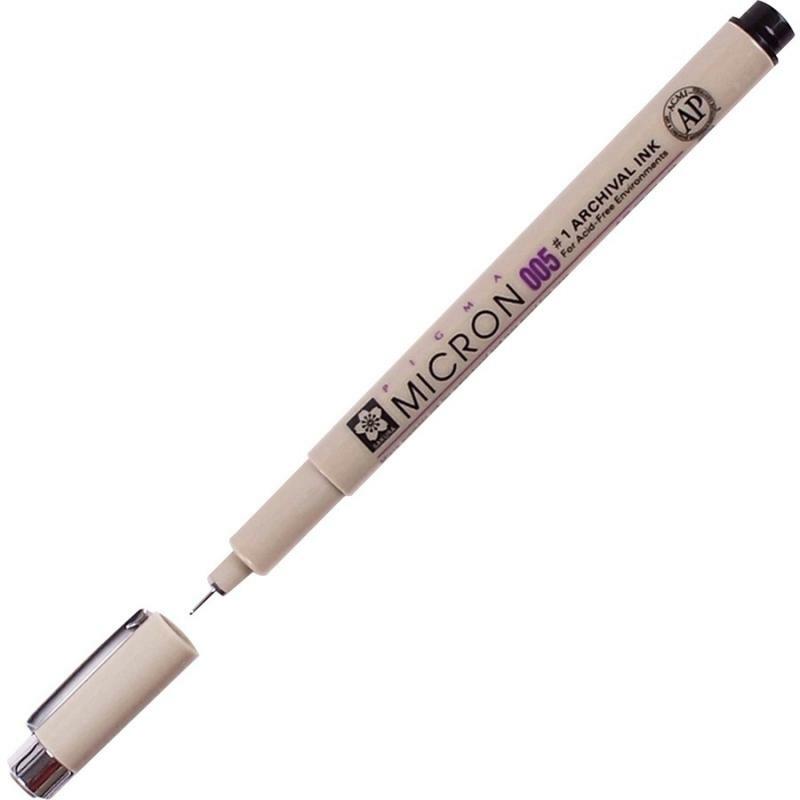 All Micron pens have archival quality Pigma ink, are non-smearing when dry, waterproof and chemical proof, fade resistant, and donâ€™t bleed through most papers. Pigma Micron pens were the first water-based pigment ink in the consumer market in 1982! Used in private institutions and Universities throughout the world for all types of research and preservation requirements. 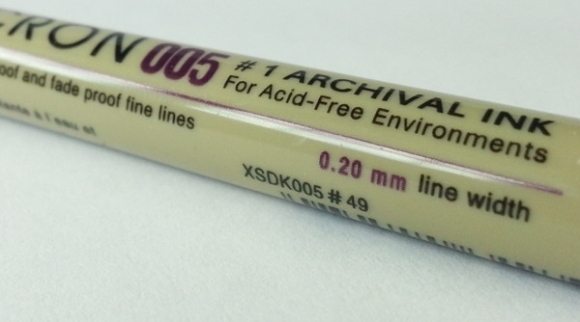 Meets ACMI non-toxicity standards.